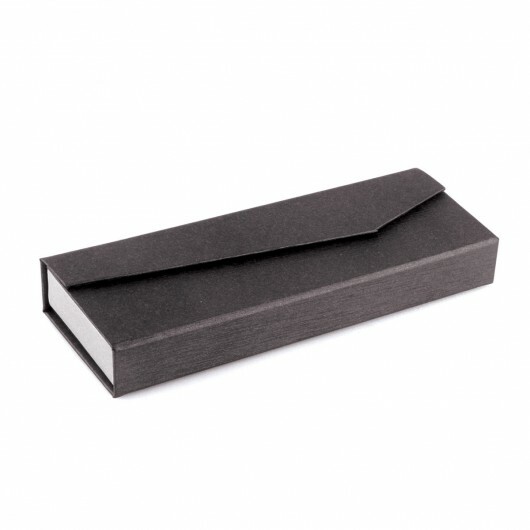 Finish the gift with these smart magnetic closure gift boxes. 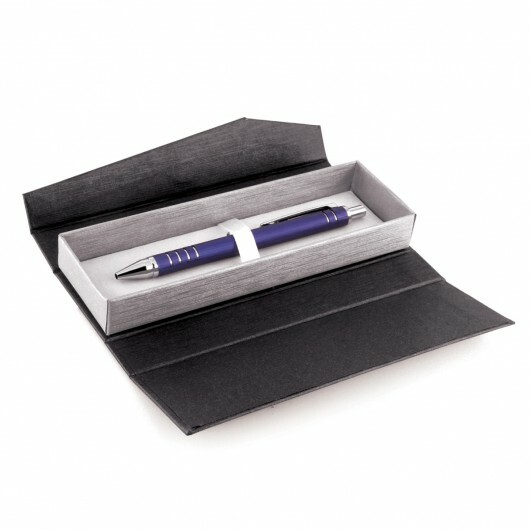 The Magnetic Closure Pen Gift Box offers pen gift packaging for one pen (not included). Stylishly finished in brushed charcoal and silver, this executive gift box is sure to impress when used to complete a pen gift set. Please note these come unbranded.